Featuring a soft and supportive mesh or fabric back rest with built-in lumbar support, the Wau Ergonomic Mesh Chair combines the comfort of a molded fabric or mesh seat with a fabric or mesh backrest. 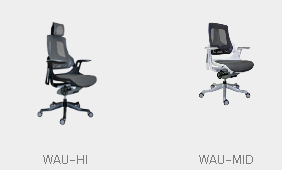 The Wau delivers on ergonomics too - the chair has easy to adjust ergonomic features for complete customization to fit the individual user. 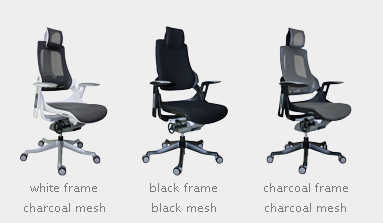 The Wau Ergonomic Mesh Chair features tilt tension and lock control, knee tilt control, back angle adjustment, synchro tilt control, seat height adjustment, a waterfall seat edge, supportive head rest, and arm height adjustment. 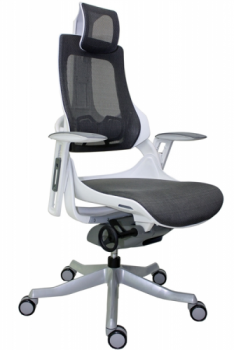 The Eurotech Wau Chair - Mid-Back offers you a mesh office chair with visually appealing design. 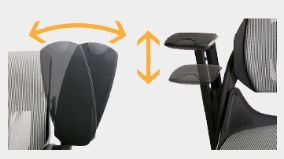 This synchro tilt mechanism features a knee tilt component, which tilts the chair from a point just behind your knees, rather than in the center of the seat, as on most task chairs. This leaves your knees at a relatively constant height while the back of the seat raises and lowers to recline the chair. The tension of this recline is adjustable and the tilt can lock into place. Mesh upholstery promotes airflow that can keep you cool as you work. Combine this with modern, eye-catching design, and the Eurotech Wau Chair - Mid-Back might be the right mesh task chair for you. Waterfall seat decreases pressure behind the legs. 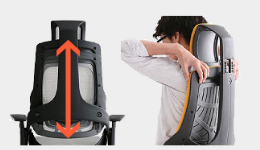 Back angle adjustment with tension control allows users to recline and lock the chair back in 3 different positions, or simply leave the back unlocked for free-flow movement. The seat moves rearwards, in addition to tilting backwards, to open up thigh-calf angle. 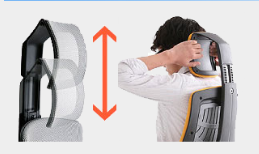 This allows stretching and straightening not just at the hips, but at the knees and ankles as well. The resulting movement of additional joints, flexion and contraction of more muscles encourages blood and joint fluid circulation to combat muscular-skeletal fatigue arising from inactivity. The designer and engineer designed Wau with the vision of a deep scalloped form that would cradle and wrap the user, resembling the heel cup of a ski boot or inline-skate as well as recalling the bucket seat design of a concept sports car. Another characteristic is the soft yet rigid materials generally found in sporting gear, to combine flexibility for comfortable fit and effective force transfers. The flashy appearance is intentional, to express its high performance characteristics. In the design phase and material specification of the chair, much consideration was given to eco-friendliness and sustainability. 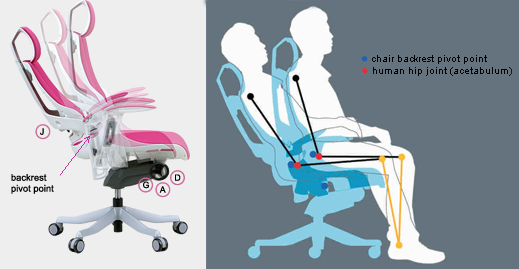 The point at which the chair's backrest and seat pivot is designed to be inline with the human's hip socket joint (acetabulum), so that there is little to no relative movement between the backrest and torso. The seat moves rearwards, in addition to tilting backwards, to open up both the thigh-to-calf and thigh-to-torso angle. This allows stretching and straightening not just at the hips, but at the knees and ankles as well. The resulting movement of additional joints, flexion and contraction of more muscles encourages blood and joint fluid circulation to combat muscular-skeletal fatigue arising from inactivity. Seat Height Range: 19" - 22½"